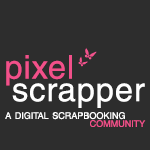 June is here and that means; time for another Pixelscrapper blogtrain! I had so much fun designing this one, I think I even fell in love with my own little froggy. So did my little girl! She tried kissing him, but no prince leapt out of the computer for her… What a disappointment 😉 Let me know if any of you do find that prince! If you are here for the first time and you like what you see, browse around the blog for a while – there are two previous blogtrains still up for download and all of their accompanying add-ons too. And ofcourse, if you check back in a week or two, there will be an add-on for this blogtrain part too. Inspire me with your requests, leave them in the comments – who knows, maybe you will find them in the add-on pack! And if you decide to make a layout with this kit, don’t hesitate to share it here or on my Facebook page. I would love to see it! Do you want to get back to the full blogtrain list? You can find it here on the Pixelscrapper site. Enjoy the rest of the ride! Are you having trouble downloading? Check my mini-tutorial right HERE. Thanks so much. I had to come directly to your site as soon as it turned midnight to get these babies! Love all the critters and felts! Those felt guys are really tremendous!!! Adorable, absolutely!!! Love it. Thank you for your wonderful gift. Melo – these are seriously adorable!!! thanks! Thanks for your adorable contribution. Hi hon. Do I have to join this ge.tt to get your download. No Tina, you only select the download and hit the blue word ‘download’ on the next page. If you have trouble downloading, please let me know. Sorry but if I saw a Download button I would have clicked on it but all I get when ge.tt comes up is in left hand corner a big block that has GE.TT in it, a login,join,Facebook or follow box. Thanks for your help and I still luv your felties. A wonderful addition to a charming kit. Thanks. I love your felt critters! So clever. All of your designs are terrific. So glad you participated in the blog hop! This kit is so cute! Love all the fealties. Thank you! Thank you it’s lovely – very creative – I love that you gave us felted frog spawn!!! Love that blue paisly paper too! Wow! you have done it again. I love love the tree, but that frog and the papers are wonderful too. Thanks for the adorable felt elements! They are the best!! Gorgeous! I wish I knew how to the felt creatures!! This is absolutely adorable!! Thank you for sharing your time and your talent! So sad. Two days in a row it says your daily traffic limit has been reached. Have you considered using more than one place to host your items to avoid this problem? I hate to miss out on such an amazing contribution! Thank you so much for sharing this adorable kit! Love the felties! So so cute! I wish I could make them! thanks Melo! 🙂 super cute! Love your Pond Life, Thanks!! I just love all those felties! Thank you so much! thank you for adding another link! Love your kit!! You’re welcome Lisa. Have fun scrapping! 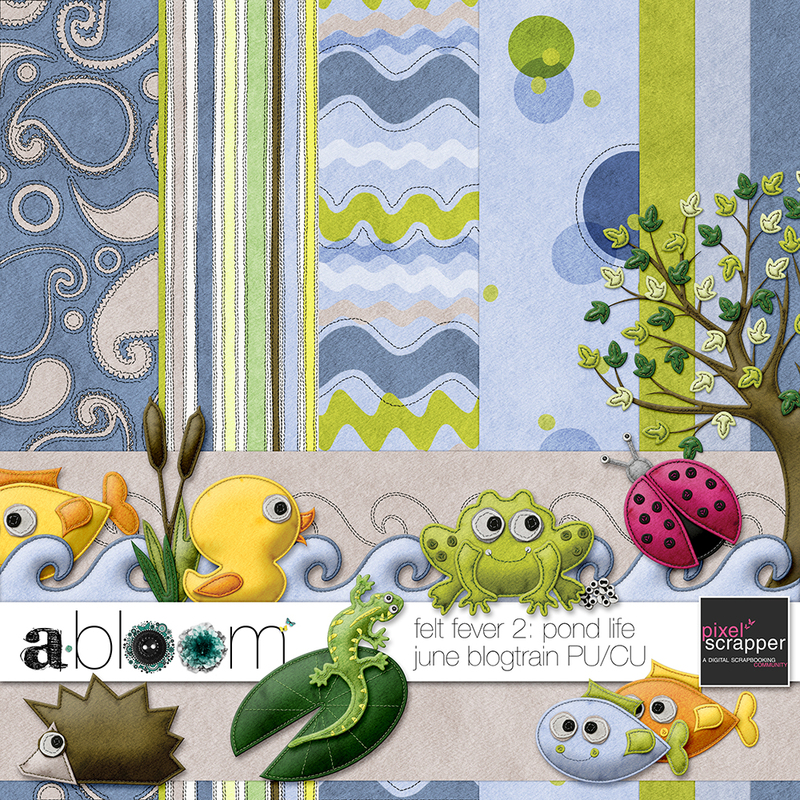 OMG; this is just the absolute CUTEST digiscrap kit I’ve seen in a long time! Thank you so much for sharing! 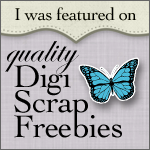 OMG, this is just the CUTEST digiscrap kit I have seen in a long time! Thank you so very much for sharing! Thank you Rose. What a wonderful compliment! Really cute. Love the papers. Thank you bunches. Love the felt, and the little fishes and animals are so cute! Thank you very much! wow! really lovely. Can’t wait to use it. Thank you. I love the felt items, too! Thanks for sharing! Thanks so much! This is sooo cute! Thank you so much…love the felt texture!! Do you believe I could only dowload this today? Thanks Melo! I love all the felts! Thanks for the freebie. Love Your portion of this Blog Train. Thanks so much! Adorable! I really love the papers and the felt animals are wonderful. Thank you. Love this it is so cute! Thanks so much! Thank you very much. This is so cute! OK, now this is waaaay too cute! Thanks so much!